We’re making some important changes to the HealthEngine app early next year, which impacts the Medication Manager feature. We’re building a brand new mobile app to make it even easier for you to find, book and manage health appointments. To improve the app experience, we’ll also be removing features that are not frequently used by HealthEngine users. This means Medication Manager will no longer be available in the new app. 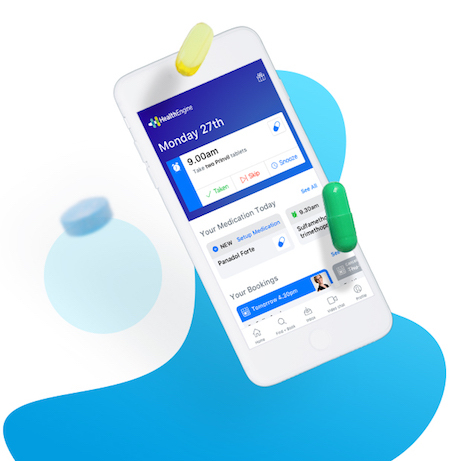 We’re planning to release the new HealthEngine app by March 2019 – Medication Manager will no longer be available once it’s released. What can I do to prepare for the change? If you are using Medication Manager, we suggest you switch to an alternative solution at the end of this year. There are several apps that offer the option to store medication, receive reminders, and understand drug interactions. For example, the Medisafe app is just one comparable solution to Medication Manager and is available on both the App Store and Play Store. We look forward to releasing our new app and continuing to find ways to help you manage your health. Feel free to send us feedback about your experience with the HealthEngine App by emailing feedback@healthengine.com.au.